What if you don’t have Photoshop in your computer or any other photo editor software? Well, there are lot of online photo editor website. And you can give photo effects online easily from those website. So, let us have a look on online photo editor website. Online image editor is kind of web application that helps us to edit image in internet. So, its a web application that load on your web browser and allow you to edit your photo. You just need to upload a image that you want to edit. And after editing, you will be able to use it or download for your future use. Now a days, there are few photo editor website like online-image-editor.com or pixlr.com/editor/ But we have our own online photo editor at editxyz.com with some cool features that you will really enjoy. You will be able to crop image, add text and effects. Make them blur, adjust brightness and so many. Let us have a look on the features one by one as well as how to use this online photo editor tool. Select images from your device and open it, it will add the image temporarily. Now, click on the image to edit it. After selecting any photo to edit, you will see that like below inside the online photo editor. Using the top tool bar, you will be able to crop, rotate, flip as well as zoom the photo. And from History, you can history back. There is a pink Effect button, we will talk about that specially also in this tutorial. 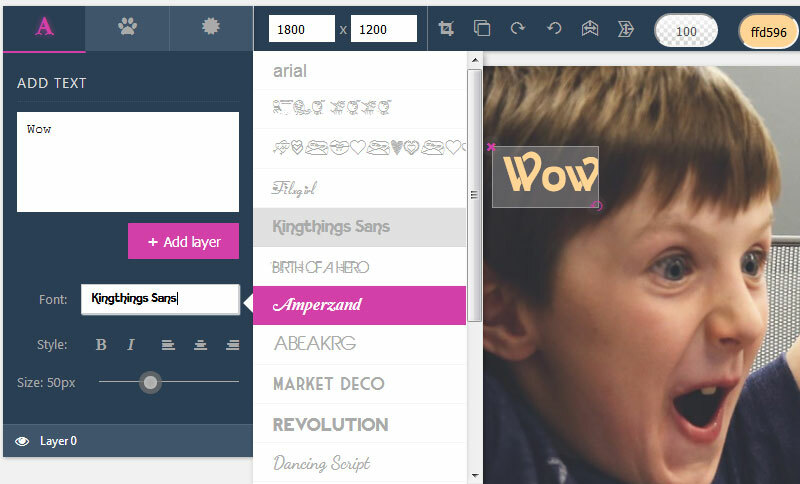 In the left side of Online Photo Editor, you will have a nice add text section with various font styles. You also be able to move text, change font size as well as color of your text. If you want to delete recently added text, just click on the small cross at top left corner with the text. There are 4 type of Clip Arts as below image under Sample button. Using those clip arts, you can make your photo more attractive. If you want to upload your own clip-arts, use Upload button. For Grafix type clip arts, color adjust option available. But Opacity option for all clip art. And you can easily resize them. There is a rotate button on the bottom right cornet of the clip arts. And using that button you can rotate and adjust side of clip arts. Make Up your photo like a pro. Smooth skin, Dyes Color and Specially Drawing will add cool effects to your photo. To add photo effects online, there is a spacial effects button with lot of features like 10 Presets, + FX effects, 50 + cool overlay effects. 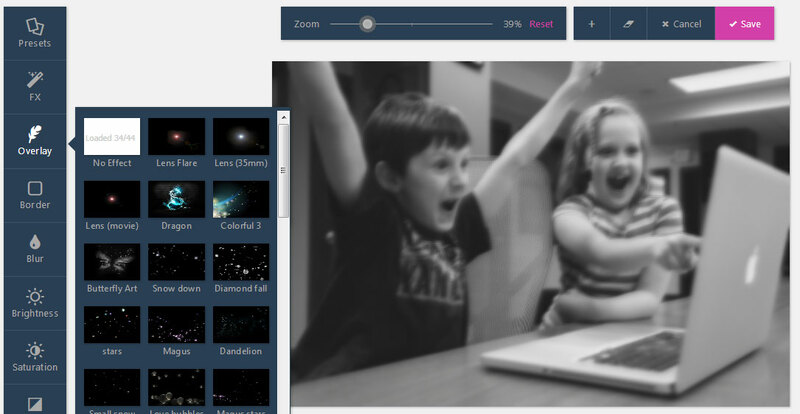 Blur, Brightness, saturation, contrast, RGB, Dark edge as well grid makes this online photo editor awesome. Hope you will enjoy this online photo editor and don’t forget to Save and download your edited photo.